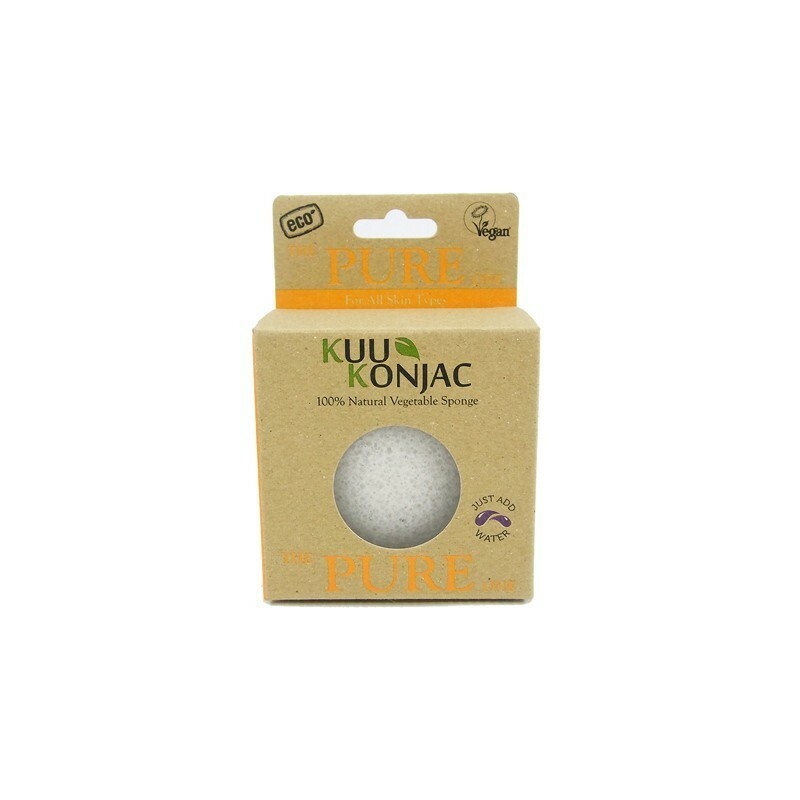 All-purpose original pure KUU Konjac sponge. It is naturally alkaline to balance the acidity of the skins impurities and oils. Suitable for sensitive or dry skin types. The beauty of the sponge is its simplicity. 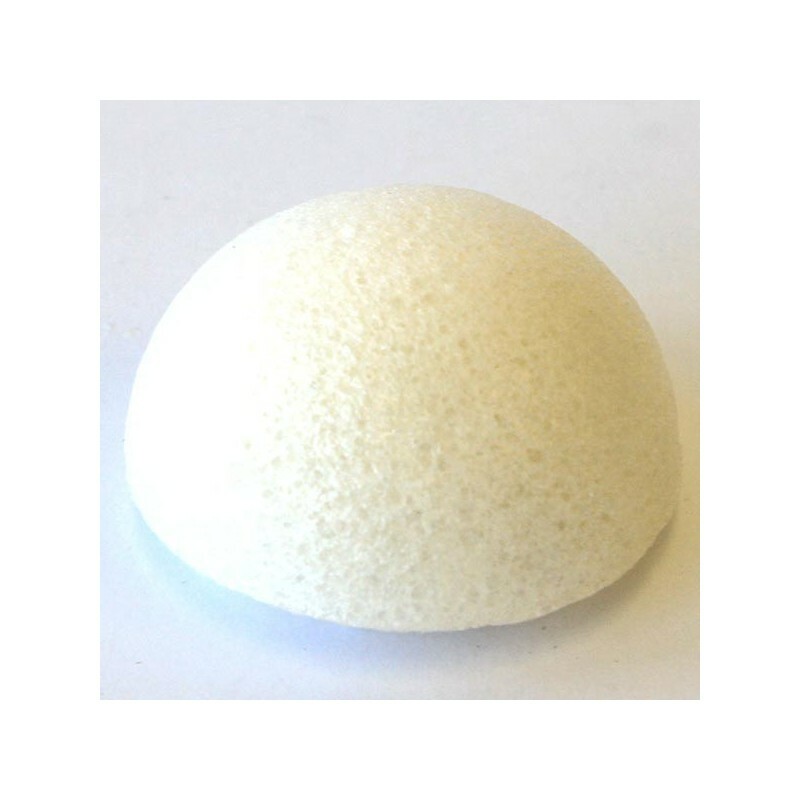 As you gently massage your skin the sponge will stimulate blood flow and exfoliate the dead skin cells leaving your skin clean and refreshed. 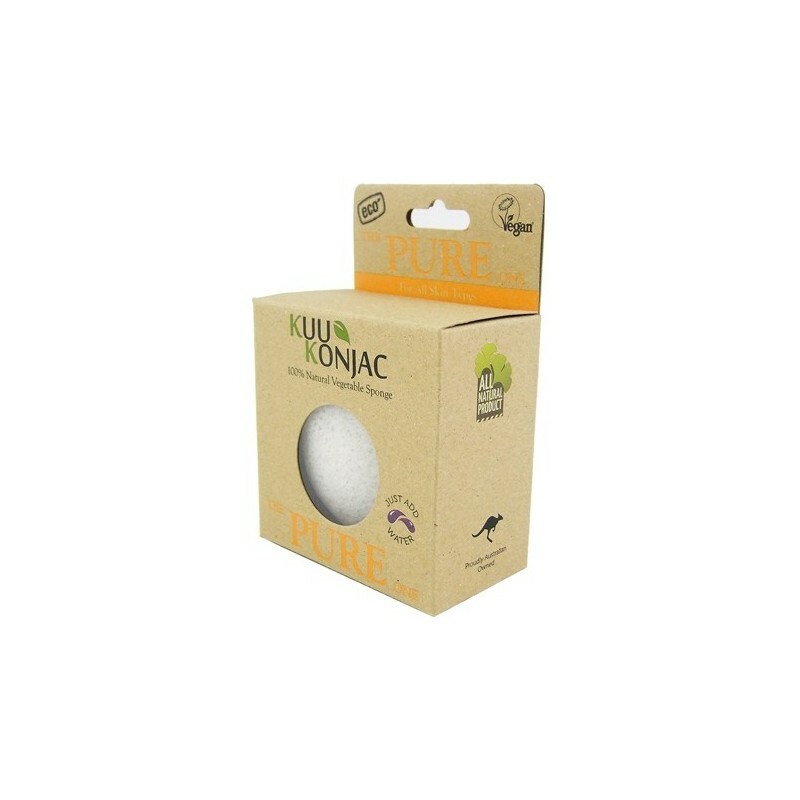 The KUU Konjac sponge can be used on its own or with your favourite cleanser. But remember just a tiny amount goes a long way as the sponge delivers more lather than usual. Better for your skin, better for the environment and your pocket! Free from colours, additives and preservatives. Naturally sustainable & environmentally safe. 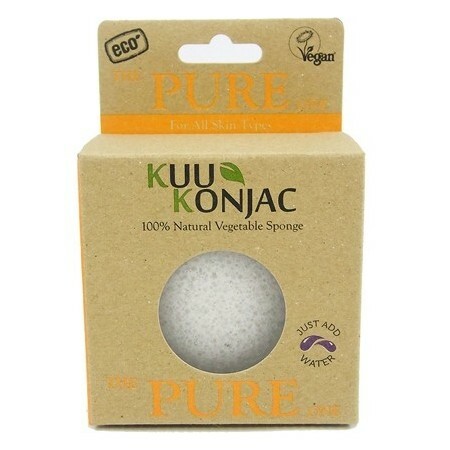 In Japan the Konjac (Konnyoku) sponge has been used on their delicate skins for over a century. Naturally pH balanced alkaline which neutralises any acids (oil and dirt) for deep cleansing. Stimulates blood circulation and new growth of skin cells. Excellent for all skin types - even those with hypersensitive skin. Extra soft - ideal for those with skin disorders such as eczema. Rinse before use and then gently massage until the sponge has absorbed the water. 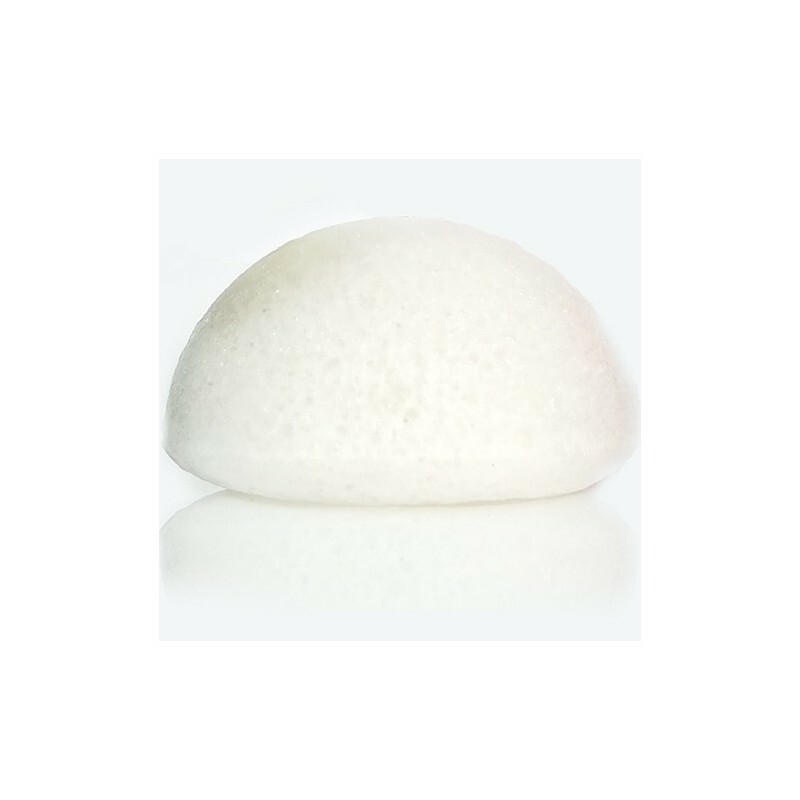 Use the sponge in circular motions, it can be used alone as it is naturally 8.4 pH balanced or with a small amount of cleanser if you wish. 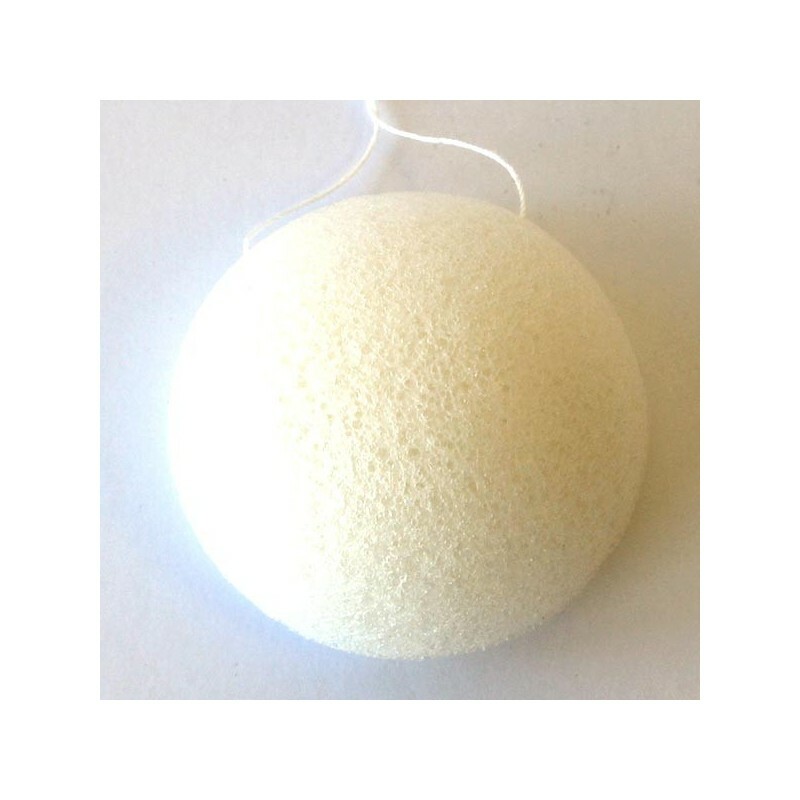 Rinse sponge after use (do not wring) and hang to dry. The sponge will harden when dry. Re-hydrate in warm water before use again. If damaged or worn (lasts 2-3 months of normal daily use) please add to your compost. Approx 8cm diameter when moist and 3.5cm deep. The perfect size for the palm of your hand. Works better with a small amount of exfoliant. Make sure you hang it up to dry. I bought a few types for the family and as gifts. I store them outside of the shower door and have had no issue. Easy to use. Says don't store in shower which was inconvenient. LIked it enough to buy as gift for others.